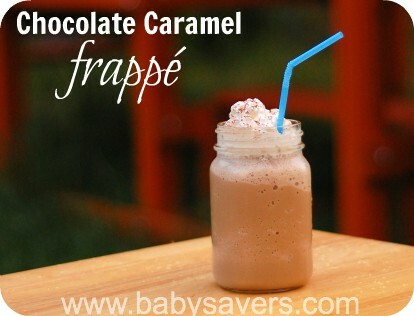 Amping Up Summer with a Chocolate Caramel Frappe Recipe! I love a hot mug of coffee in the winter, but as soon as the weather warms up this Minnesota mom blogger can't resist a delicious iced coffee! While I like even the most simple glass of regular coffee over ice with milk and sugar, a fancier homemade coffee drink will almost always brighten my day. 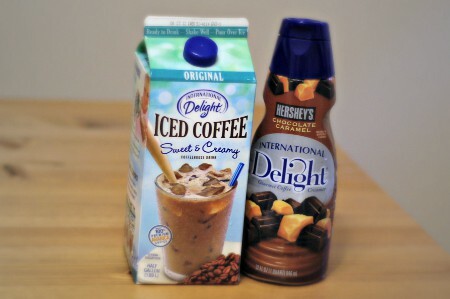 International Delight is amping up summer with their new Iced Coffee, available in three flavors: Original, Mocha and Vanilla. 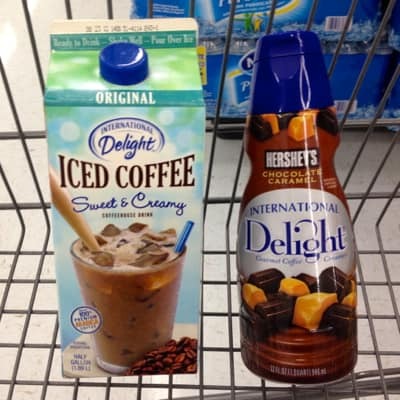 I went on assignment to buy International Delight Iced Coffee and flavored creamer at Walmart, then craft a new and delicious homemade coffee recipe with my new International Delight products. The Intenational Delight Iced Coffee was $3.98 and the 32 oz. 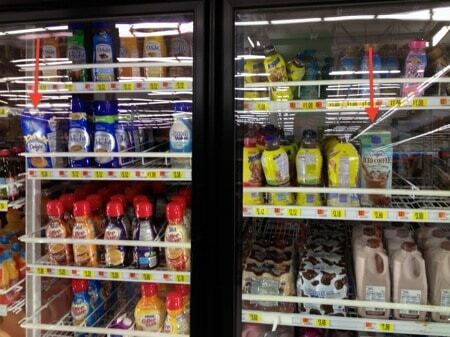 bottle of International Delight coffee creamer was $3.12. I paid for both (along with a can of Reddi-Whip) and headed home. Once home, I took out my blender and started pouring in ingredients to make my special frappe. Add the iced coffee, creamer and ice to your blender pitcher. Blend all your ingredients together until the ice is finely crushed. Top with whipped cream and garnish with chocolate, caramel or cocoa powder. *Tip: fill a 16-ounce glass with ice cubes and dump all of them into the blender. You'll almost always end up with exactly the right amount of your blended beverage if you measure your ice in the glass you're going to serve it in. If you like this recipe please Pin It on Pinterest! Find out more about International Delight by liking them on Facebook or following them on Twitter. 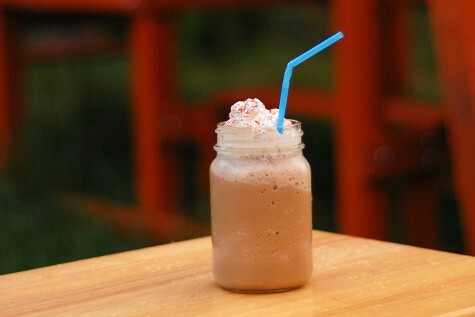 Search for the #IcedDelight hashtag on Twitter to find more yummy homemade coffee recipes! I am a member of the Collective Bias™ Social Fabric® Community. This shop has been compensated as part of a social shopper insights study for Collective Bias™ and International Delight #IcedDelight #CBias #SocialFabric. I love all these flavors, I wish the coffee came in decaf though since I’m nursing. I don’t want a wired baby! You can never go wrong with chocolate and caramel! Yum! yummmmm..thank you for sharing your recipe…love it and the Mason jar!!! Such a quick and yummy treat!! Mmmm that looks delicious! 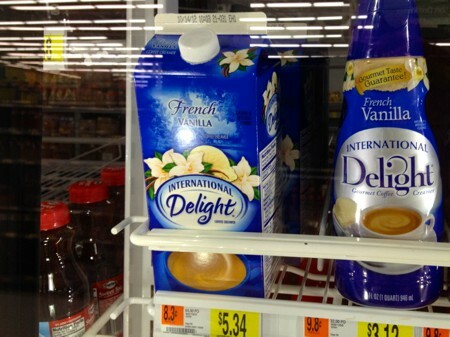 I love the International Delights creamers and iced coffee – so yummy! Yummy!!!!! I wonder how this would be with the Vanilla Iced Coffee… I already have some of that in the fridge!